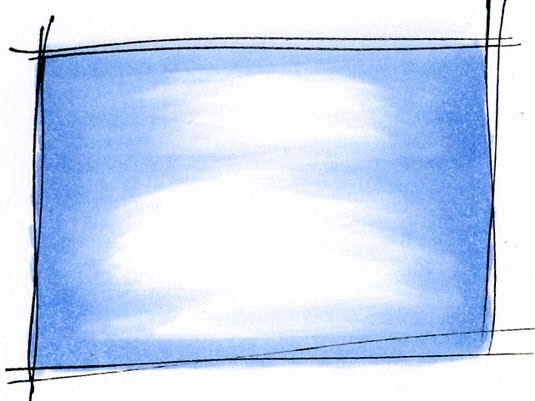 Thank you for participating. Commenting has now closed on this contest. 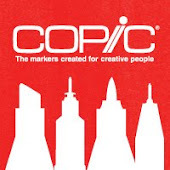 Do you love Copic markers as well? 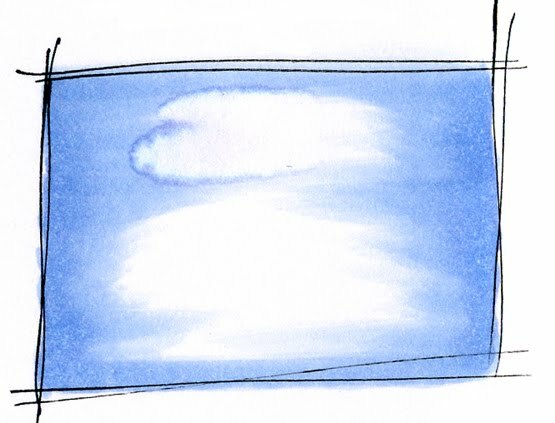 What Copic colors can't you live without? 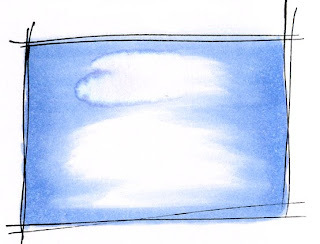 What 3-6 colors (besides the colorless blender) are colors that you MUST have any time you are trying to make a project? 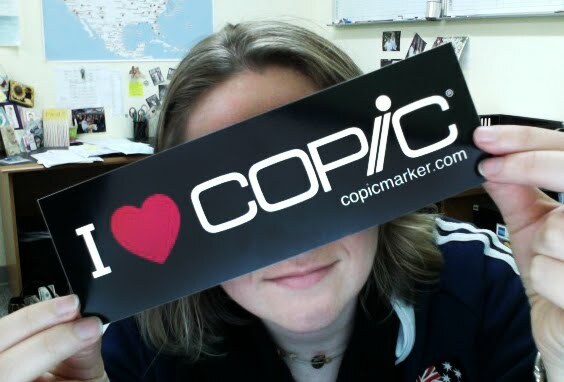 Post your answer on this blog, or the official Copic blog, or on our Facebook fan page for your chance to win one of our new I Love Copic bumper stickers. 3 places to win, 10 winners per site! Contest runs through noon on Monday. Winners will be selected randomly. Open to US and Canadian residents only. Limit one entry per site. Be sure to leave contact info so we can reach you if you win!! 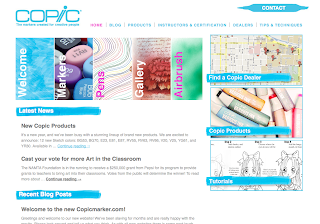 Have you looked at the Copic website recently? If not, go check it out!! We have a completely new, redesigned website, just crammed with great photos, useful information, and some amazing interviews and tutorials...with new stuff being added every day. 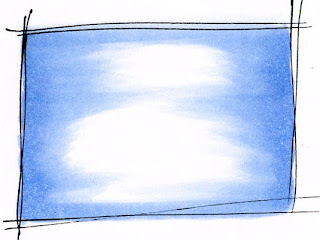 Look around, let us know what you think, and learn something new about your Copic Markers. 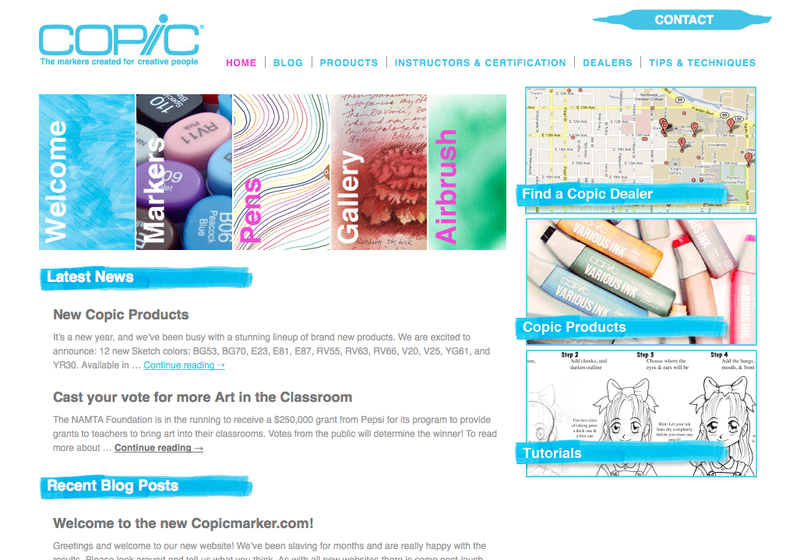 Check out the Copic blog, and download literature. The new 2011 catalog will be up in about a week, so check back for that as well. 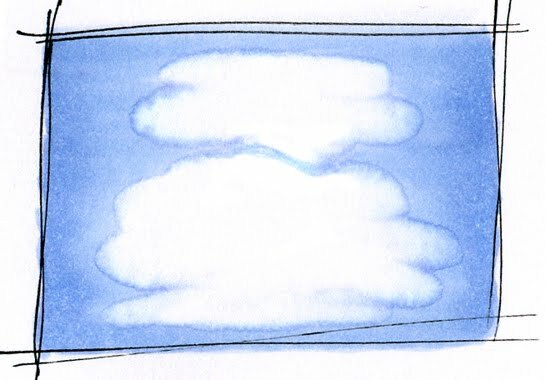 I have been so busy with CHA and the final changes to the Shadows & Shading book that I realized it's been a while since I blogged. 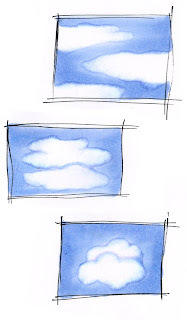 I'll try to get a tutorial up later this week, for drawing pretty fluffy clouds in a bright blue background. Meanwhile, time to update everyone on Certification classes coming this spring in North America. These classes are filling very fast, so sign up right away if you are interested in attending. Classes open to registration two months before they take place. March 6, Sacramento, CA taught by Jennie Black Almost full! March 14th Edmonton, Canada, taught by Sherrie Siemens Almost full! Intermediate Papercrafting Certification classes are doing great! 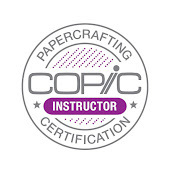 We had a wonderful, enthusiastic bunch of papercrafters attend the class in L.A. last month. 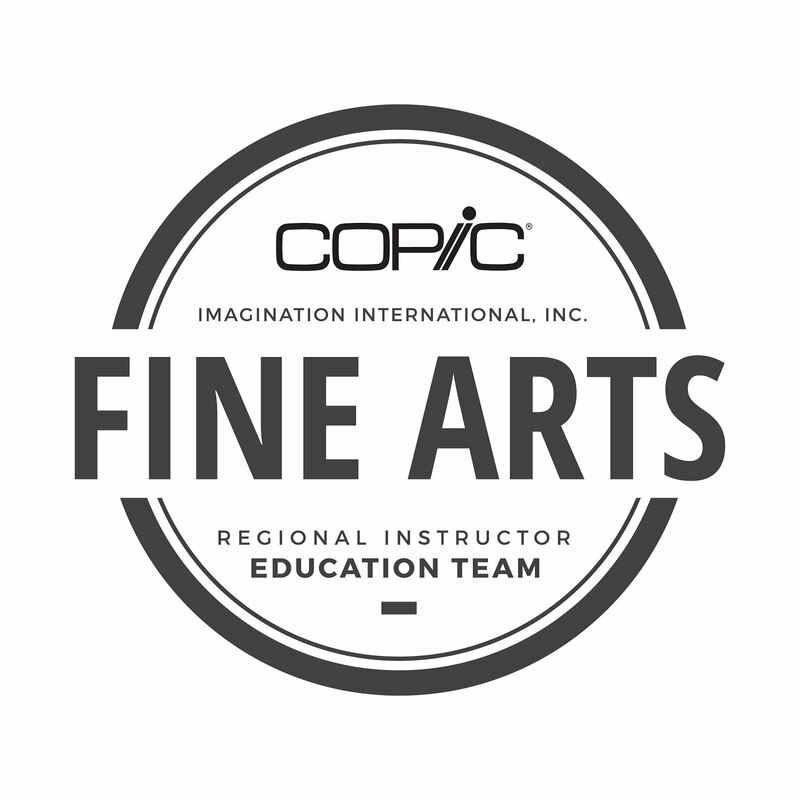 Remember, these classes are open to ANYONE who has taken the standard Certification class, and who wants to learn how to color and design more like an artist. The Phoenix Intermediate class is filling very fast, so if you are interested in that location sigh up ASAP!! 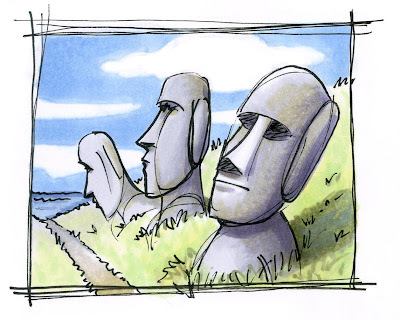 Feb. 19-20 I will be demoing at the Oregon Asian Celebration in Eugene, OR in the Youth Art Room. 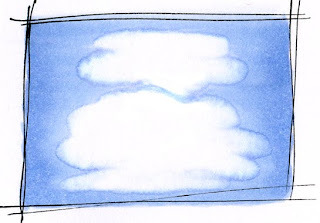 Feb. 25th, Jerry's Artarama, West Orange, NJ. I will be demoing from about 12pm until 4pm, so stop in and say hi, and bring your marker questions. March 4th, Book Signing Event, DIVA gallery, Eugene OR. 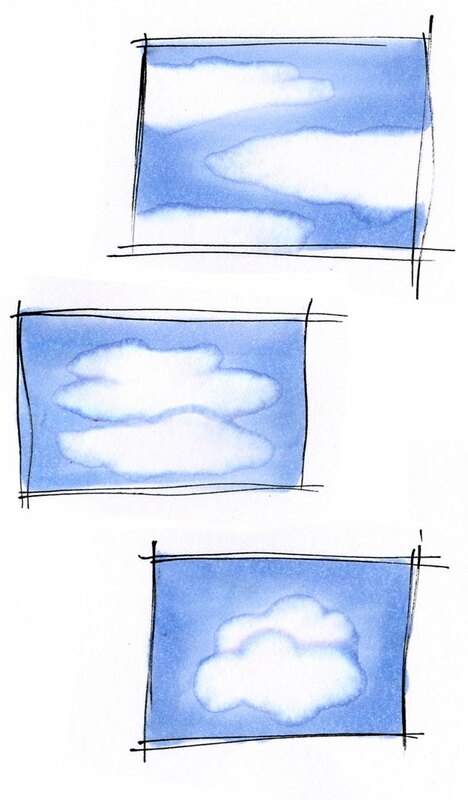 Ken O'Connell, president of Imagination International, Inc (Distributor for Copic Markers in North America and my boss) will be signing his book Sketching with Copic, while I will be signing my book Shadows & Shading, A beginner's guide to lighting placement. You can purchase copies of both books at the event. Come party with us and have a great time, from about 5:30 until 8:30pm! Note: DIVA Gallery has moved up two blocks to the corner of Broadway & Lincoln.